My family and I are just back from a quick trip to New York City. Manhattan, really—we were only briefly in Brooklyn and didn’t visit any of the other boroughs on this trip. On this trip one of my big extracurricular goals was to visit as many bookstores as possible. Or, as many bookstores as possible without exhausting my family. 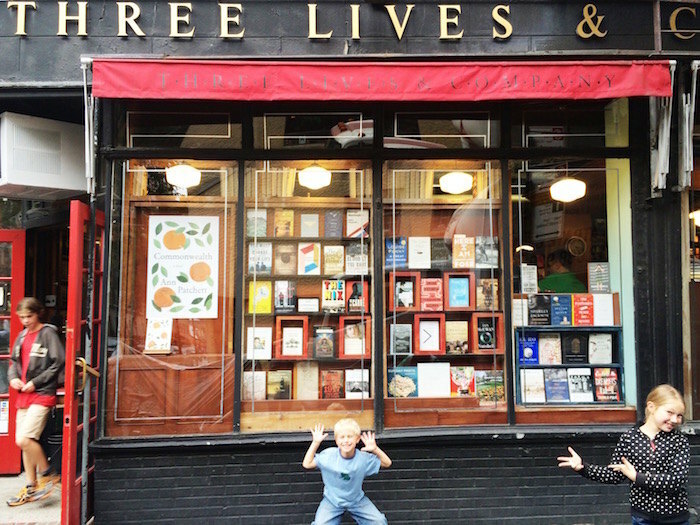 Luckily, my kids were (weirdly) way more excited about visiting bookstores in strange cities than they have been in the past, so we got to visit a ton. This is a fun bookstore with a neighborhood vibe that has a nice selection of books and a wonderful selection of bookstore sundries—journals, pens, gifts, mementos. It’s spacious by New York standards with lots of floor space and room to browse. 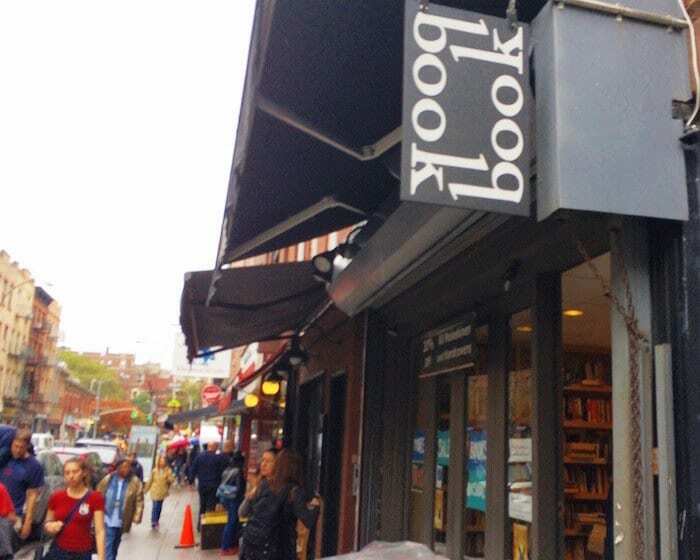 What you need to know: longtime customer Nora Ephron used this children’s bookstore as the inspiration for The Shop Around the Corner in You’ve Got Mail. Meg Ryan came here to train for a day so she could play Kathleen Kelly. Their staff set up the bookstore set in the film so it would look authentic. Also: they have a pretty great selection of children’s books. 18 miles of new, used, and rare books. This was my kids’ favorite, hands-down; they loved it so much we went twice. It’s not unusual to hear a book lover use the words “Strand” and “pilgrimage” in the same sentence. This small bookstore in the Village has a highly curated selection, great sale tables, and as a bonus is right by Murray’s Cheese Shop. This snug neighborhood book shop has an excellent selection and compares itself to 84 Charing Cross Road. It’s beautiful inside and out, but my kids only tolerated it because no kids books. 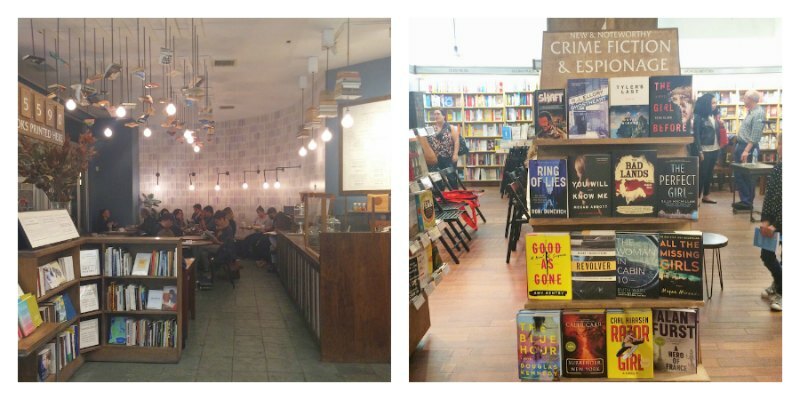 Two floors of books, a cool Espresso Book Machine for self-publishers, and a gorgeous café with awesome book art. This was recommended by a fellow book lover as “the best kind of used bookstore”: used book prices + excellent curation. With gorgeous high ceilings and tall bookshelves, the store is so pretty people get married here. I can totally see why. 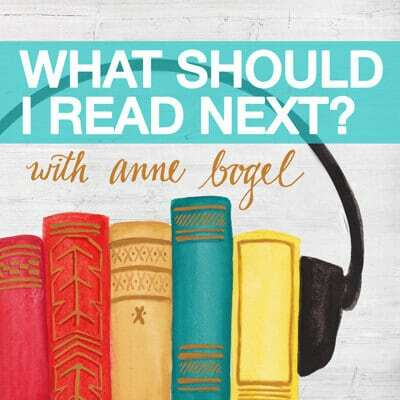 For next time: The Mysterious Bookshop, Idlewild Books, and anything you tell me about in comments. What are your favorites? What would you add to the list? The Strand and Housing Works are my all-time favorites. 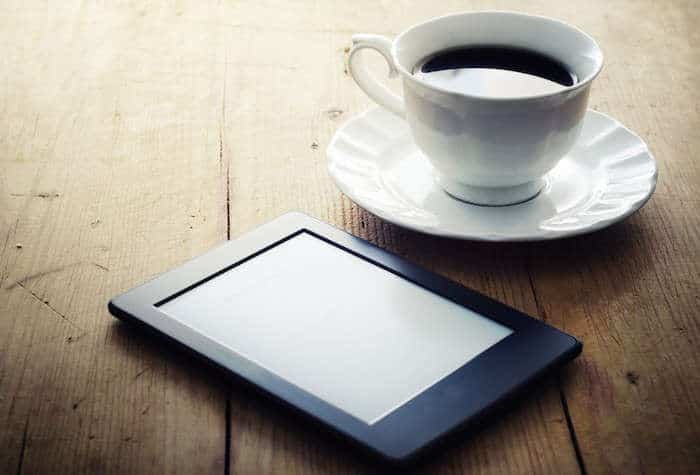 I often find that I use Housing Works as a refuge since it’s so cozy and the coffee in the back is delicious. I didn’t have the coffee since we were there after dinner but that will be a goal for next time. 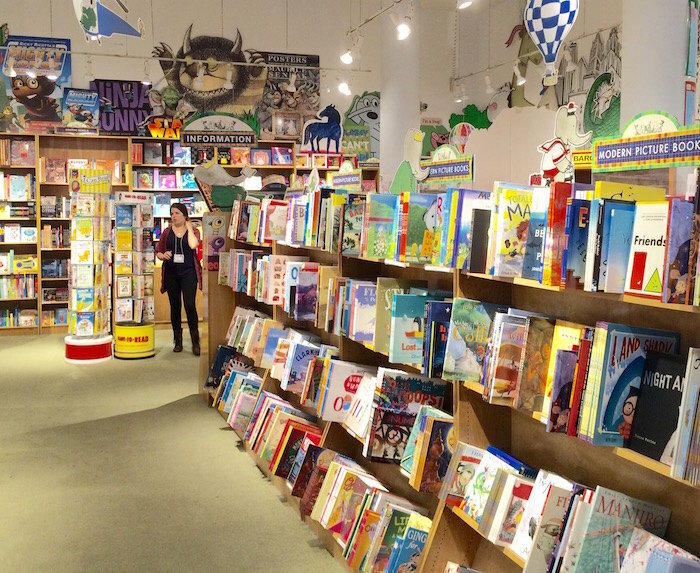 Bank street bookstore (broadway and 112th) has a great mix of educational materials and children’s literature. I’m not familiar with that one, thank you! one of my big extracurricular goals was to visit as many bookstores as possible. That sentence makes me happy. I love to shop local. 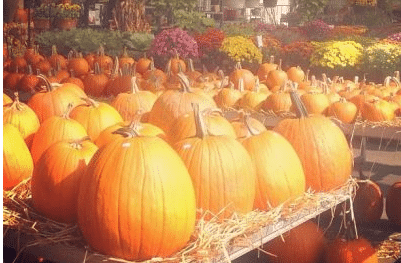 This begs asking….how many bags did you come home with?! I never knew The Shop Around the Corner was inspired by on a real bookstore!! 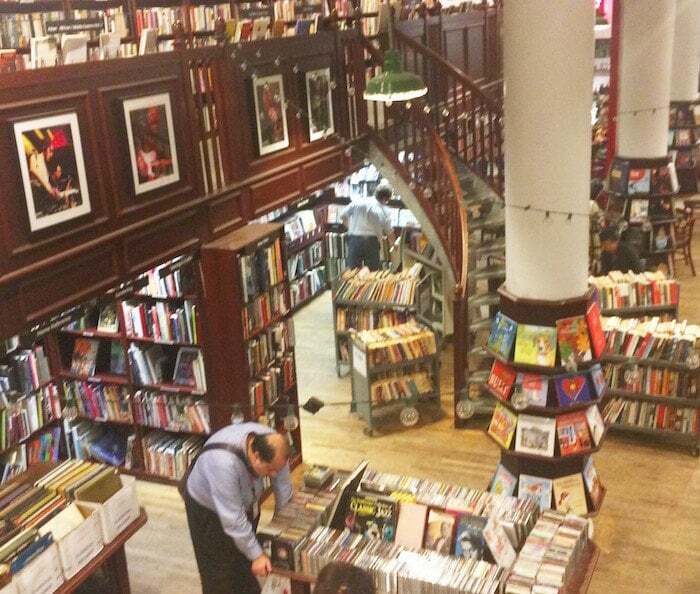 You’ve Got Mail is an all-time favorite, so Books of Wonder is a must-see next time I visit New York. These all look so great. I’ve never been to NYC but I’ll have to remember this if I ever do! So much goodness here. I’ve been to all of these except Housing Works and I adore them all. I didn’t make it to the Strand on my most recent NYC trip, but we did hit Three Lives (where I ran into an author friend), Shakespeare & Co. on the Upper East Side (which is so lovely and also has a cafe), and Albertine Books (which is inside the French embassy and very quiet and elegant). Albertine sounded lovely! NEXT TIME. 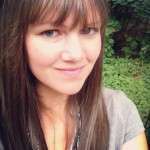 While I’m not planning a trip to NYC in the near (or for that matter far) future, I loved this post! 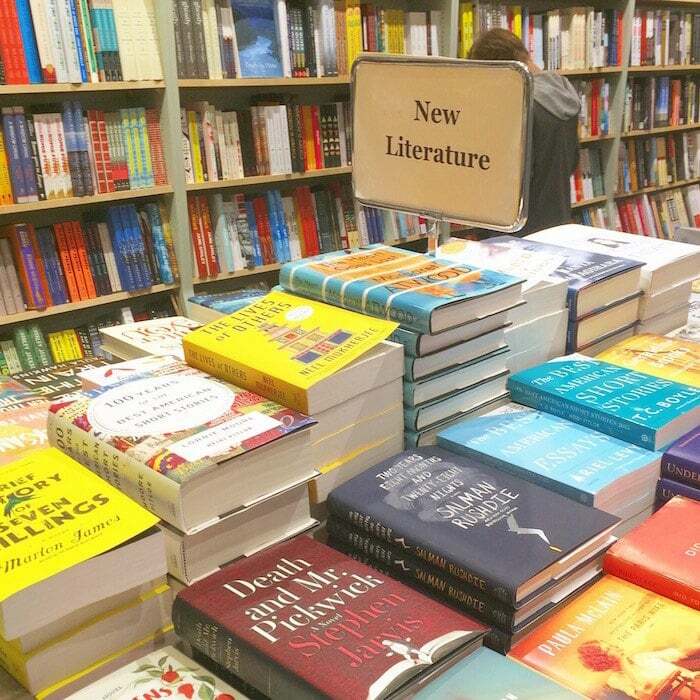 Bookstores are wonderful. Sounds like a great fact-finding mission for your family. I live in New York and even I haven’t been to a bunch of these! Time to have a bookstore crawl! 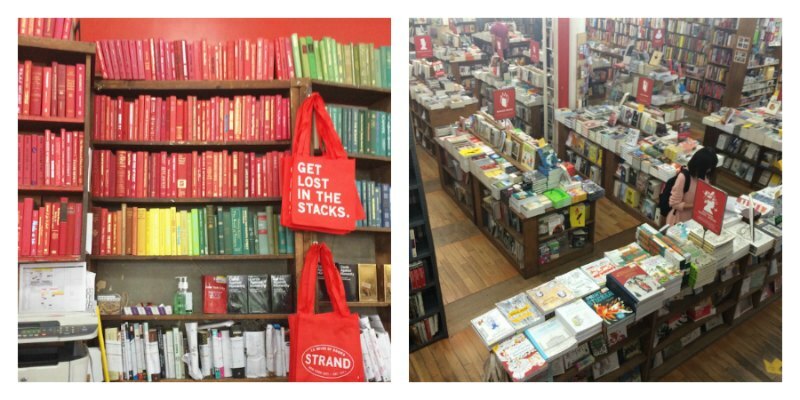 The Strand is my favorite! That has happened to me before! I was never *extremely* close to Penn Station but I spent a lot of time in midtown. That would be too funny if we passed on the street! 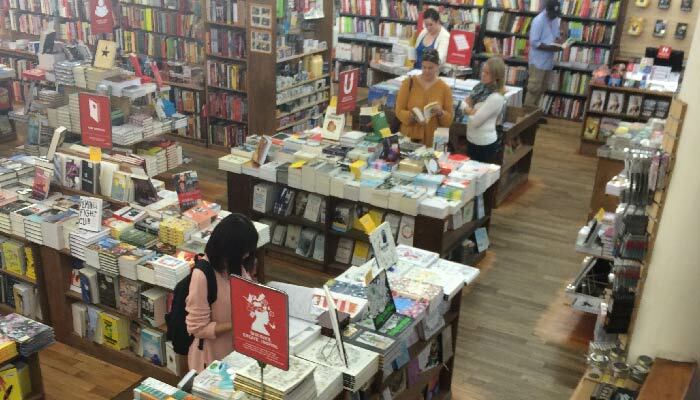 Need to take a bookstore tour of NYC! Although, Books of Wonder was the Children’s Bookstore inspiration for The Shop Around the Corner …the design of the movie set store in You’ve Got Mail was inspired by The Corner Bookstore on the corner of 93rd & Madison….a great little bookstore ….walk in there & you’ll say ” oh my, looks just like Shop Around the Corner!” Thanks for great recommendations! ?? Sigh….so jealous. Here in Helena, Montana, one of our few bookstores, Hastings, just closed. We do have one tiny new book store (very, very limited selection) and two used book stores. I have to drive 80 plus miles to get to the nearest Barnes and Noble. What a great trip through NYC. I have lived in NYC my entire life and am ashamed to say I have never been to ANY of these book stores. I’m about to give birth to my 2nd baby and next Spring I will take him and his big sister on a bookstore tour in the place we call home. Thanks for the inspiration!!! The NewYork Public Library at Bryant Park has a wonderful bookstore/gift shop! Their reusable bags make easily-packable, inexpensive souvenirs for everyone back home. Not a bookstore as such but as I too love books and bookshops, I often seek out different books while away. On the corner of Bleeker st as you move into the Meatpacking District, there are book tables as inba kind of book market and there are some fabulous finds here. A bit eclectic also.